Poetry. Defined by the OED as ‘Imaginative or creative literature in general; fable, fiction.’. 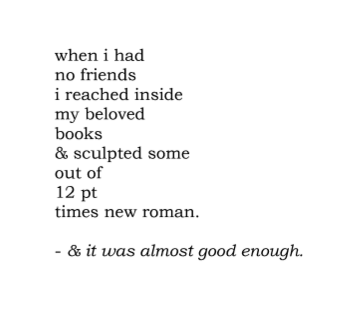 So lately, I’ve been really into reading more modern poetry by up and coming writers, including more spoken word and slam poetry. I was wanting to order some anthologies, and as luck had it Lucy Moon spoke about some of her favourites the other day in a new video, to which I caught myself in a web-surfing spiral (oops). 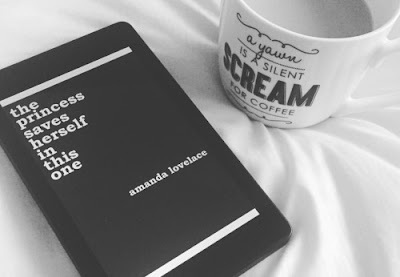 This lead me to Goodreads, where I was reading reviews of new poetry collections where I stopped and saw a review of a recent anthology ‘The Princess Saves Herself in This One’ by Amanda Lovelace. This book caught my eye, from its seemingly feminist vibes and its ‘milk and honey’-esque cover. This book has obviously been a hit on the internet, taking Tumblr and Instagram by storm as users share their picturesque shots of the short poems. Now I won't lie here, the reviews of this collection are overwhelmingly positive, having a 4.03/5 average rating. But some of the reviews caught my attention, with a pattern being that these are just your average 'tumblr quotes' and that starting a new line every few words was not equivalent to poetry. And in some ways, sure, I completely understand where these readers are coming from, but the point of poetry is really being missed here. Literature is not about snobbery, or at least it shouldn't be. Literature is about having a personal emotional response to a piece of art, which many of the reviewers of this book do feel. The fact that some people can't see beyond their ideals of how a poem should be to enjoy what this poetry is giving us, is just hindering all of our artistic growth. The next time you read a poem, view a painting, click on a blog post, leave your ideals behind. So recently I was lucky enough to take part in 4Talent and MyKindaFuture's C4PopUp in Birmingham, where I got to meet people from the TV production industry and work in a team with 5 strangers to produce a 2 minute factual film within 3 hours! Overall the day was so rewarding, I got to work on my own skills within the field and learn about how I could work in a team of 6 very different people. I have made a short vlog from the day (linked above) and would recommend checking that, and 4Talent's website, out if you're interested in taking part in a day just like this later this year or in 2018. Hi! 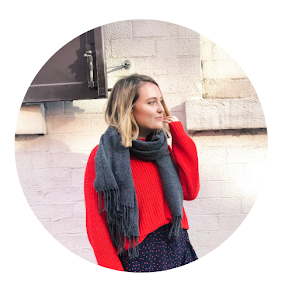 I'm Lizzie, and I'm a 20 year old student at the University of Birmingham. I'm a soon-to-be graduate, moving to Yorkshire.